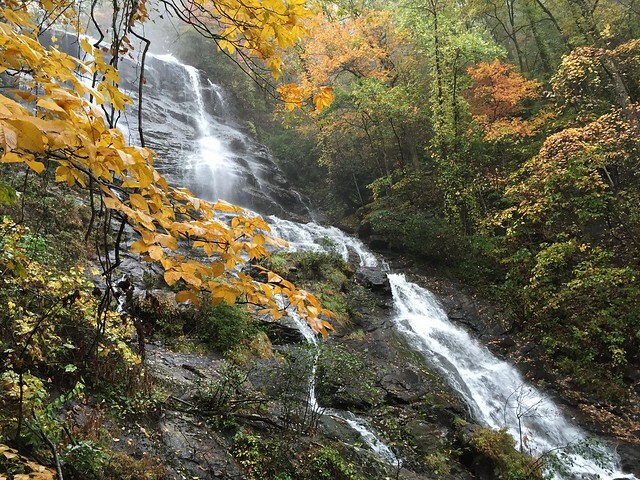 At 729-ft. Amicalola Falls is the tallest cascading waterfall in the southeast. Amicalola Falls State Park is located in the north Georgia mountains NW of Jasper, Georgia. We viewed the spectacular upper falls by walking the West Ridge Falls Access Trail whose recycled-tire surface is described as gently sloping, but one of my sisters and I had to stop several times to rest during the ascent. I always use the excuse that I’m stopping to take photos, but both times I walked up that trail recently it was too cloudy for great photography. In addition the two weeks plus of rain had wiped away most of the colorful fall leaves. A touch of autumn color enhanced the beauty of the falls. This old wrecked truck makes you wonder about the 5 W’s: who, what, when, and why. We know the where! 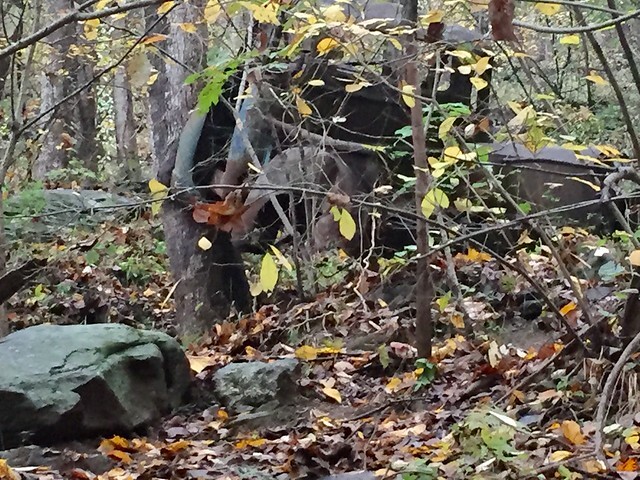 The demolished truck was stopped by trees and lies off the path to the upper falls at Amicalola Falls.